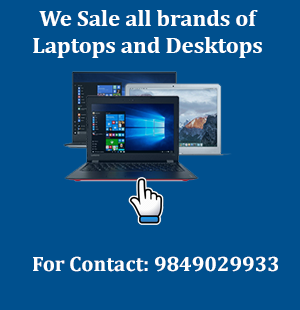 Laptop service center in hyderabad, a professional hyderabad laptop repair company in the Andhra pradesh offers a comprehensive range of laptop repair and upgrade services along with friendly customer service. Our team of experienced technicians and hardware engineers can repair, service and upgrade laptop computers both locally and nationwide for residential users and business clients. We can have your laptop problems fixed in less than a day and at times while you wait. Our Central hyderabad based laptop repair center can help you get back up and running at the earliest possible. Laptop service center has professional experience in the laptop repair industry for over 12 years. 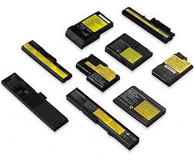 We have undertaken the repair and service of all makes of laptops and notebook models including those of the most well known brands such as Dell, HP, Lenovo, Sony VAIO, Compaq, IBM, Toshiba, Apple, Asus, Acer, HCL, Fujitsu, LG, Samsung, Alienware, and eMachines. Our laptop repair centre is open from 9.00 am to 7.00 pm, Monday to Sunday. Customers can either walk in and drop their faulty laptop or can ship the laptop to us for repair. We can also arrange for secure courier service to collect and return your laptop anywhere in the Tamilnadu. 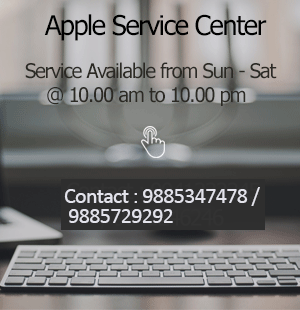 If you have more questions about our hyderabad laptop repair and upgrade services, please feel free to call us at 9841094109. It doesn't matter what problems you laptop computer experiences such as the laptop does not start up, laptop stops responding, a program stops responding, programs crashes repeatedly, a solid blue screen appears or other software problems, we can effectively diagnose any problem precisely. Mentioned below is a list of the specialist laptop repair, upgrade and replacement services we offer. 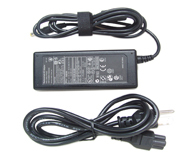 We have the needed laptop spare parts and peripherals in stock so as to offer a quick turnaround service.